Foxhall Skyline - * So Much To Offer* Shutters* Ceiling Fans* Solar Screens* Vaulted Ceilings* Formal Living And Dining Rooms* Bar Area* Downstairs Bdrm* Separate Fmly Rm W/Fireplace* Sunny Kitchen W/Island, Corian Counters* Loft Area* Big Master With Spa-like Bathroom, Walk-in Closet* All Bdrms W/Ceiling Fan* Ultra Private Backyard With Covered Patio W/Fan, Lemon Tree, Raised Planters, Rose Bushes And Dog Run! MLS#2049476. Keller Williams Realty Las Vegas. Westwood Village - Just the right flare in decor and design w/upgrades*3 bedrooms with an owner suite retreat*Customized owner bathroom is beautiful*Upgraded kitchen w/nook eating area*Formal/informal living areas*Travertine kitchen floors and hardwood flooring downstairs*1 yr Upgraded pad/carpeting upstairs*SS appl's*Stamped concrete front sidewalk and rear covered patio area*In ground heated pool*EZ landscaping*3 car w/storage*HOA $170 annually. MLS#2049232. Coldwell Banker Premier. 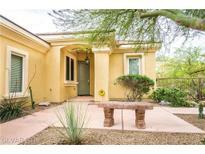 Sun City Anthem - Double Walk-Ins & Vanities! Tub & Shower! Tons/Storage & Much More! MLS#2048259. Elite Realty. Terracina - Seller Has Last 12 Months Of Power Bills For Buyer. MLS#2049258. Century 21 Americana. Minutes from Cowabunga Bay Water Park & Henderson Hospital. MLS#2048975. LIFE Realty. 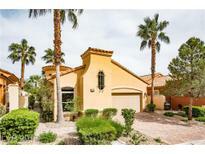 Barcelona Lake Las Vegas - Kitchen has butler pantry with second dishwasher and trash compactor. TOO MUCH TO LIST. MLS#2048851. GK Properties. 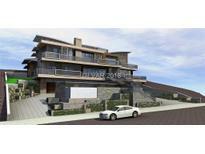 Located next to the community Beach in Lago Vista. MLS#2046177. Windermere Prestige Properties. ft lot. $100K spent in backyard. MLS#2048597. RE/MAX CENTRAL. The Falls - Master w/backyard access & large master bath w/walk in closet.Hallway features additional cabinets & counter.Separate laundry-room w/sink & cabinets.Fully landscaped pool sized yard w/covered patio & Strip view! MLS#2047098. Signature Gallery Of Homes. Paradise Hills - To Be Added Soon MLS#2048647. America's Choice Realty LLC. Environment For Living - 3 bedroom and 2 1/2 bath. MLS#2048734. One Stop Realty. This gorgeous 2 story Tuscany village home offers 4b/3ba and a loft Great curb appeal, beautiful paved courtyard, beautiful open floor plan, upgraded kitchen, SS appliances, granite countertop, maple concord cabinets, 3 mini light pendant fixture, flatscreen prewire, recessed can lighting, walk-in pantry, modern stair railing, Foyer @ garage entrance, stunning outdoor covered patio, landscaped backyard with a golf course view and much more... MLS#2048268. Keller Williams Realty Las Vegas. Significantly Lower Power bills with (TESLA) Solar on roof! MLS#2048437. eXp Realty. Beautiful Brellin Laminate cabinets, granite kitchen countertops, quartz countertops in the baths, soft water loop, super master bath, tankless water heater and much more! MLS#2048242. KB Home Nevada Inc. Owned & Paid For Solar, Corner Lot, Custom Flooring, Plantation Shutters, Master Bedroom W/ Balcony & Mountain Views, Granite Countertop, Upgraded Cabinets, Vaulted Ceilings, Covered Patios And Many More!! ! MLS#2048682. Realty ONE Group, Inc.
Monaco - This turnkey property comes complete with art. MLS#2046564. Synergy Sothebys Int'l Realty. Black Mountain Golf Country Club - Entertaining over-sized bar area.Huge rooms & walk-in closets in every room! 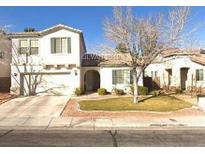 MLS#2048012. Compass Realty & Management, L.
Solera At Anthem - Large kitchen with island/breakfast bar seamlessly combines into the living area with an open floor plan. MLS#2048064. BHHS Nevada Properties. 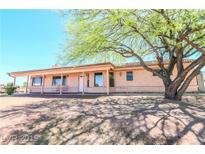 South Valley Ranch - Will go fast at this price! MLS#2047977. First Full Service Realty. Steps from the Lago Vista private beach. MLS#2047213. Windermere Prestige Properties. Coventry Homes At Anthem - Beautiful Backyard, Plenty of Room to Grow! MLS#2046324. BHHS Nevada Properties.